In 2010, my mom, a good friend and I decided to grab these super cheat roundtrip flights to Italy. It was February and the weather was a little chilled but we couldn’t wait to see Italy. Being the super planner that I am, I planned out our trips to Rome, Florence (Firenze) and Siena. After all, we only had 5 days and had to fit everything in! In Florence, we decided to do a personal cooking lesson through Vinarium. Barbara was our instructor and she was absolutely amazing. She walked us through several tuscan dishes and also helped us find an amazing restaurant and gelato shop in town. 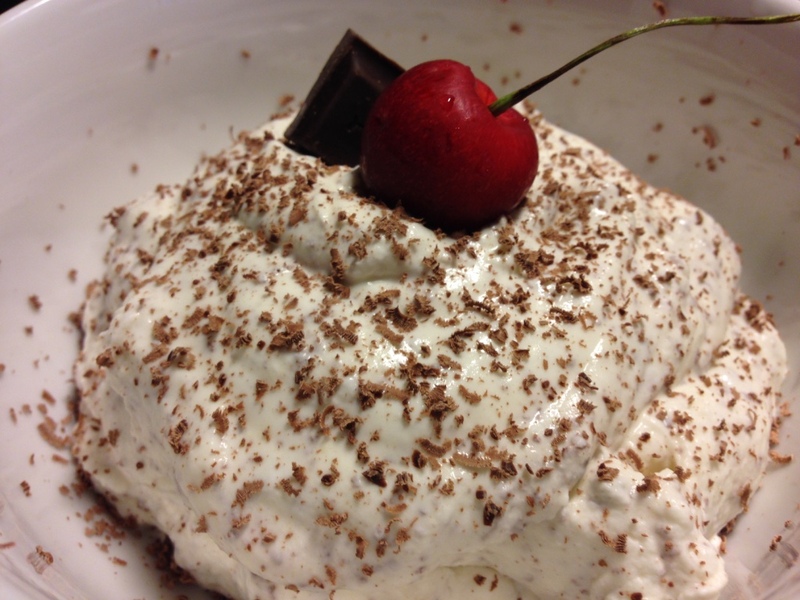 In particular, she showed us how to do a mousse al ciccolato (chocolate mousse). It’s made with mascarpone cheese, eggs, sugar and whipped cream. Absolutely delicious. So, here in Oslo, we are still staying in a temporary apartment. I do not have any of my kitchen tools and had to come up with a birthday dessert idea for my husband. No baking pans at all… Immediately, my mind went to the chocolate mousse that I learned in Florence. This also meant that I would need to whip everything by hand as there was no electric mixer or immersion blender. Seems simple enough – but be prepared, if you take this route, that there is a potential for wet noodle arms the next day. Regardless, its worth effort. First step is to whip the heavy cream until almost stiff. Next, add the sugar to the whipped cream and whip until its blended into the cream. Boom – whipped cream. Then, separate the egg whites from the eggs and place into a bowl. 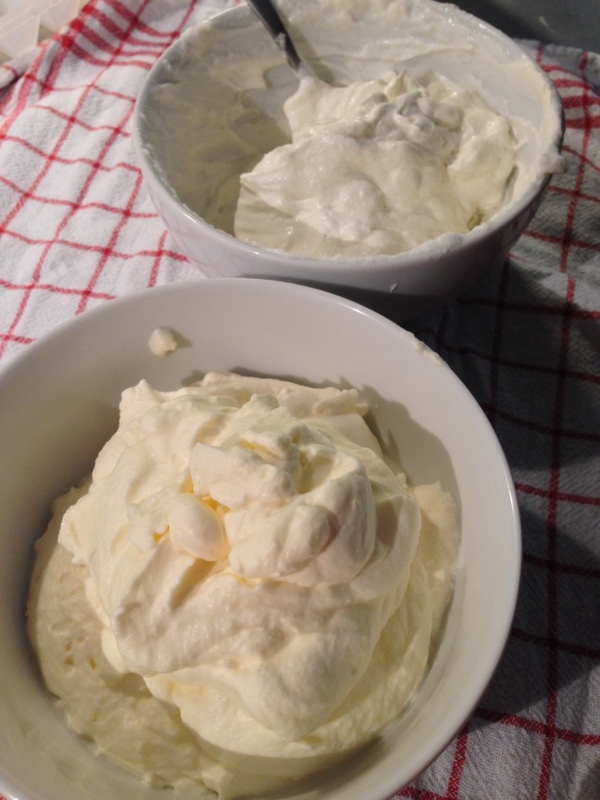 Beat the egg whites until stiff and fold carefully into the mascarpone cheese. Make sure to fold it together so it’s mixed completely. Be careful about aggressively mixing this as you may lose the air that you worked so hard to beat into the eggs. 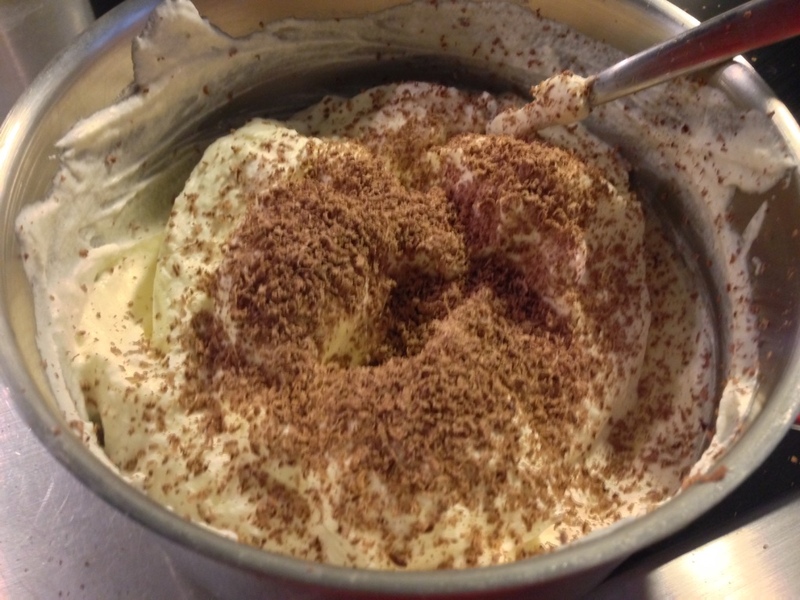 Finally, add the whipped cream to the mascarpone mixture and stir until incorporated. Then, shave the chocolate (to your taste) into the container and stir. Pour into a container and refrigerate for about 1 hour. Serve with a little more shaved chocolate on top and perhaps a cherry! You’ll love this mousse. It’s sweet, light and decadent. Give it a try and let me know what you think! Previous #FredagsTaco is my new favorite pastime! Plus a guacamole recipe for the lime lovers. Next Amundsen Bryggeri – Great Pub Food in Oslo!